The most popular multigame in Greece. 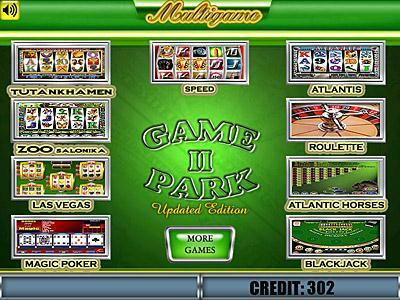 It has 10 gambling games and with the addition of the recent update it contains now 13 games. It has a big variety of games and it covers all different preferences of the players. 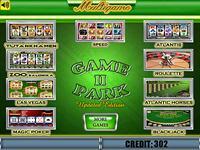 It has games with 5 reels, 3 reels, cards, roulette, bingo and horse racing. It is available in kit form and also in one of our cabinets. 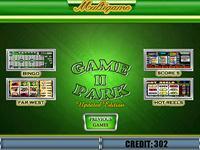 Moreover the version of Game Park II for double screen cabinet is now available. 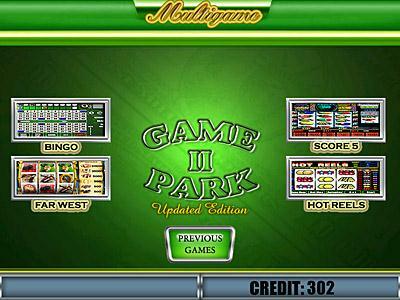 Game Park II has a test menu that is very easy to use and it covers all the needs of the operator. It contains statistical data for all games and also the option to have the games pf your preference on the main screen only with a setting.